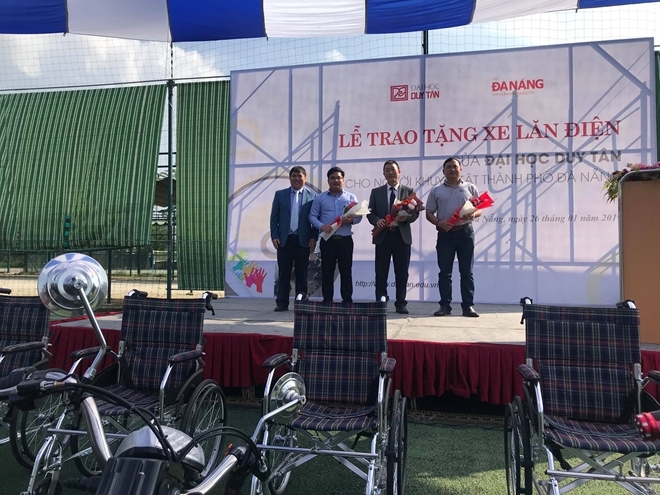 PSNews - The Duy Tan University on January 26 donated electric wheelchairs to disabled people with difficulty circumstances in Da Nang. 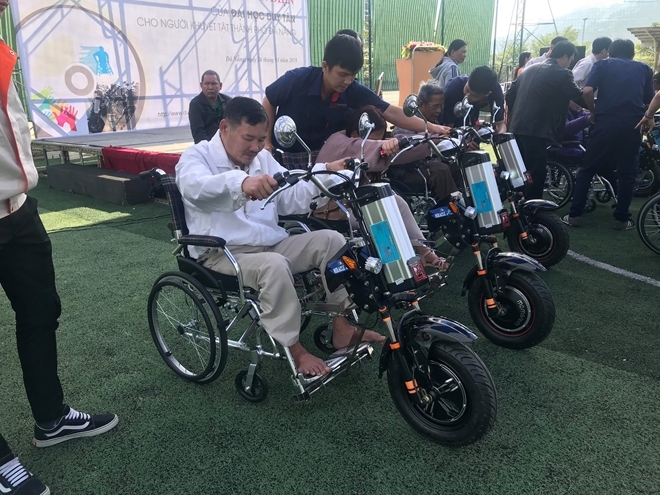 In particular, these meaningful electric wheelchairs were invented and manufactured by the city-based Duy Tan University's Center for Electricity - Electronics. 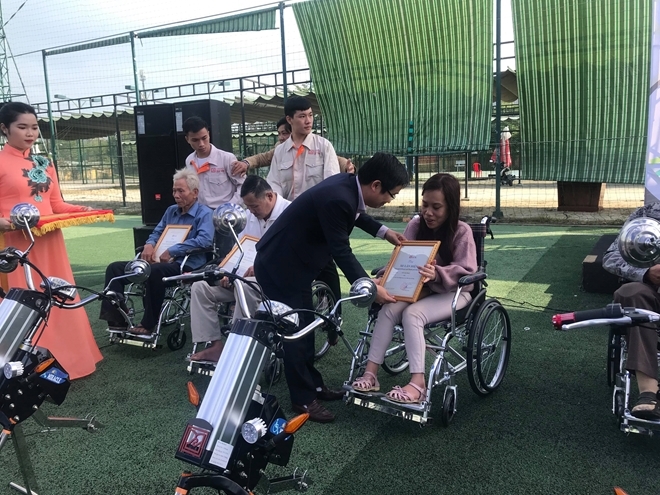 As reported, the donated electric wheelchairs are the products of a scientific research project of lecturers and students of the Duy Tan University's Center for Electricity - Electronics, aiming to support the disabled people in moving as well as recognize them to overcome their difficulties. Each wheelchair was composed of two parts including the wheelchair body and the front part with steering handle. Users can easily remove or assemble the front part to the wheelchair body, depending on usage situation. The drive units are powered by batteries that are light but strong enough to last users who want to travel 30-40 kilometers straight (max 45 kilometers/h). According to Dr. Le Nguyen Bao, Rector of Duy Tan University, the center has studied about making electric wheelchairs since March 2017. 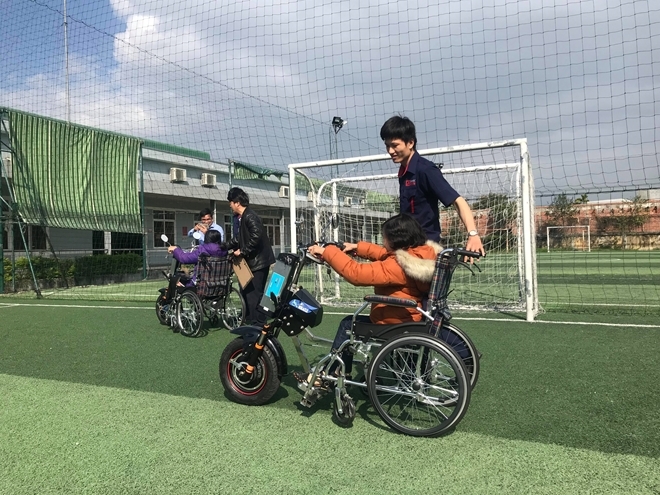 The electric wheelchairs with simple yet convenient assembly structure will contribute to ensuring the certainty and safety for users.